This is a fantastic load of pre-owned Kimball cubicles. Each station comes with one corner desk, one file file, one box box file and one over head storage bin. 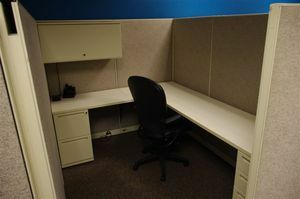 These workstations are available now.